Sam - If you eat fat, pieces of fat come into a specialised cell called the enterocyte, and the enterocyte rebuilds the fat and exports them into ball-like object called chylomicrons. These then exit the other side of the enterocyte away from the gut and go into these small tubules called lacteals. Chris - Once they’re in those lacteals they’re into the body and then able to get into the bloodstream and so on? So that’s the sort of gateway into the body isn’t it? Sam - Yeah. It’s the gateway into a second circulatory system in the body called the lymphatic system. You may have heard of lymph nodes, and when you hear people saying "oh, my glands are swollen," that’s because the lymph nodes are swollen, and they have an important role in our immune system; but they also carry a milky-white substance called chyle round the body, which includes of all these fats we’ve absorbed from our intestines. Chris - How have they looked at that transmission process between the cells lining the gut and those lacteals? Sam - They’ve looked at a molecule which is called VEGF-alpha, and VEGF-alpha is a molecule that we’ve known for ages. It’s very important for controlling how your body makes new blood vessels. It also turns out it now has important roles in controlling this other circulatory system - the lymphatic system - and how those knit together. So what they’ve done is they’ve deleted two genes that negatively regulate VEGF-alpha to make it more powerful and work better. And they’ve found something really quite cool, which is these little balls of fat normally get into the lacteals and the lymphatic system through gaps between cells in these lacteals, because the cells are not very closely or tightly knitted together; in fact, the junction is described as a bit like "buttons". And, in fact, if you think about the fly on a pair of trousers, you can slot something between the buttons and the fly. Remarkably, when you add the VEGF-alpha, they turn into structures that look like zippers, and you cannot shove something through the gaps in a zip! Chris - Effectively it closes the gateway? It’s locking up the cells tightly together so that they can’t export these balls of fat into those tubes that would then carry them round the body? Sam - That is exactly the case. And because they can’t absorb them, the fats that should be absorbed remain in the gut and are actually excreted in the faeces. Chris - If you feed animals a diet that would make a normal mouse become obese, one would presuppose, then, that these animals don’t gain weight. Is that what happens? Sam - That is exactly what happens. The animals are normal on a low fat diet, but when you give them a tastier, higher fat diet - something more akin to a McDonalds or Burger King - the normal mice enjoy it and get much fatter; whereas these mice with these tight "zippers" that prevent the fat going into their bodies cannot get fatter and remain pretty much normal weight. Chris - We do depend on fat absorption for really quite critical processes, don’t we? 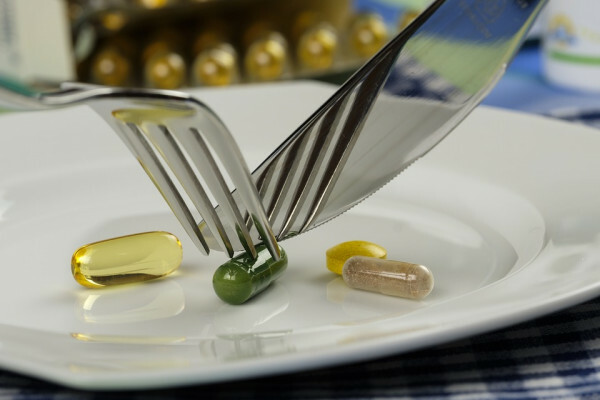 There are fat soluble vitamins: A, D, E, K, so if we clog up this process is there not a risk we could end up very deficient in some really quite important factors? Sam - Absolutely! And there will be a need for further follow-up to see how practical this is and safe this will be if it’s ever to go forward as a treatment. There may also be impacts on other aspects of gastrointestinal health; does it affect nutrient absorption? Also, does it have effects on the microbiome of our gut and could this have other negative impacts? But it’s certainly a promising avenue for future research. Chris - And talking about that future research, would the grand vision then be you could turn this on or off a bit to just tip the balance so you could still enjoy a few extra helpings of trifle and you wouldn’t pay the price with your waistline later? Sam - Yeah. And I think that there are other aspects about this which make it quite interesting; one is that within the paper itself they do have a pharmacological inhibitor of this process. But one of the striking things is they show that physiologically, just in a normal gut, this process can happen very rapidly and be very rapidly regulated, and why the body has the sudden ability to shut off lipid absorption is one of the most interesting things. Generally, if you’re doing something that modulates something that the body normally does, and you can do it a bit, it’s often a healthier approach than something that’s really kind of alien if you’re looking to try and generate a treatment. Chris - So you could literally pop a pill with a "bad for you" lunch - if you’re going to be really naughty and pig out, you could pop a pill and temporarily disable the system just for lunchtime and then return to full virtuousness by dinnertime? Sam - That’s conceptually the case, but let’s just remember where the fat from that "naughty" lunch would go. One of the side effects you have to worry about with this kind of treatment is an unpleasant sounding thing called steatorrhoea, which is actually about as unpleasant as it sounds - it’s oily poos! So you would have to decide what you want to do with regards your lunch! "Trans-poo-sion" to help you slim? Can we alter our epigenome?